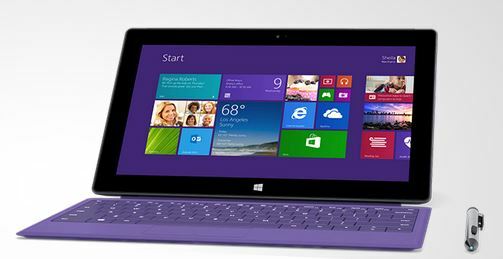 In case you haven’t heard, Microsoft has announced the second generation of Surface tablets. 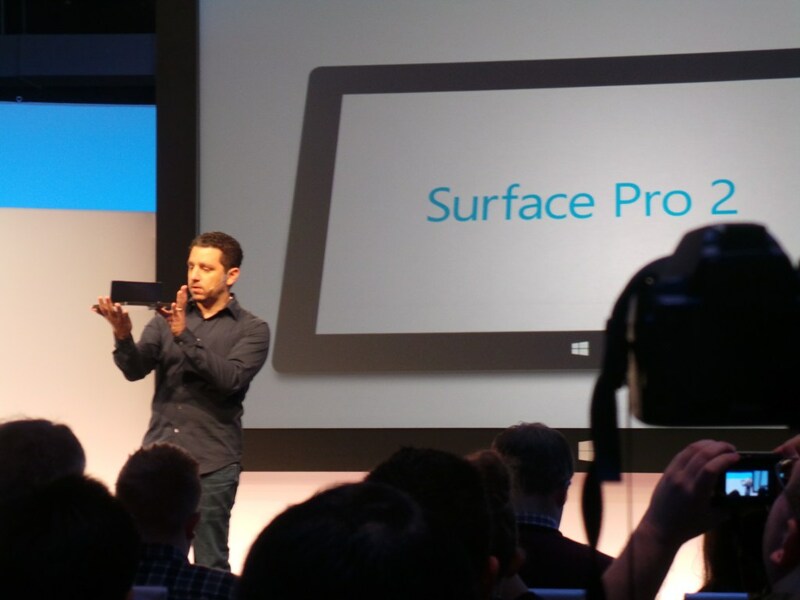 At an event yesterday in NYC, Microsoft announced the Surface 2 and the Surface Pro 2. Since I’ve been actively looking for a Windows 8 tablet, I was more than eager to see what Microsoft had to offer with the Surface 2 and Surface Pro 2. Like usual second generation upgrades the Surface 2 was lighter and thinner than the first one. The 10.6″ tablet is a productivity type tablet in my opinion. Surface 2 is the most productive tablet for personal use. It offers all the entertainment and gaming capabilities you expect from a tablet, along with the ability to get work done. Powered by an NVIDIA Tegra 4 processor The Surface 2 runs apps quicker and smoother, increasing battery life to up to 10 hours for video playback. The 10.6-inch ClearType Full HD display now renders 1080p video for enjoying shows and movies, and its full-size USB port has been upgraded to USB 3.0 for up to four times faster file transfers. Camera resolution has also increased, with a 3.5-megapixel front-facing camera and 5-megapixel rear-acing camera, both cameras can record in 1080P and work great in low-light areas. Even with these and other upgrades, Surface 2 is slightly thinner and lighter than its predecessor. 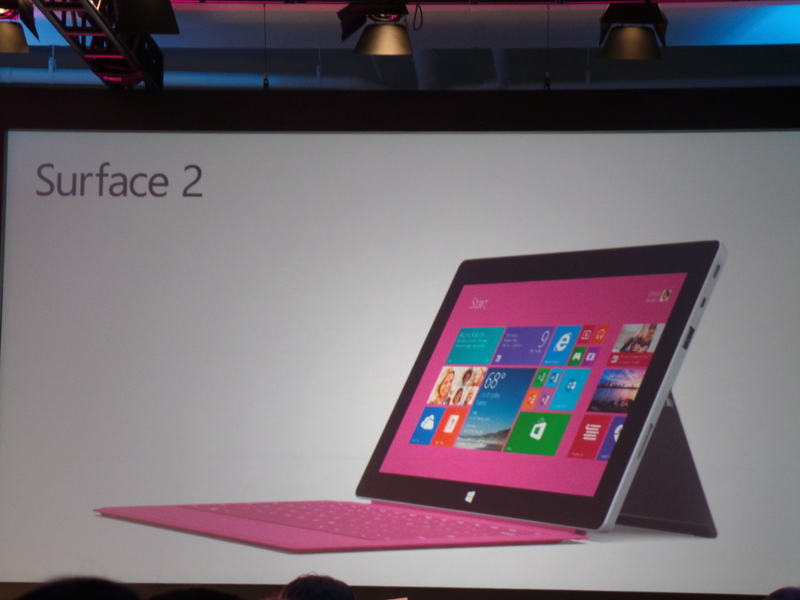 The Surface 2 will ship with Windows 8.1. It comes preloaded with Microsoft Office Home and Student (RT version). It will be available in 32 GB and 64Gb with a starting price of $449 for the 32GB and $549 for the 64GB. Storage: 32 GB or 64 GB with MicroSD Expansion Slot. The Surface Pro 2 is more of a powerhouse. This is the Windows 8 tablet you want. It is more like a tablet PC. The Surface Pro 2 runs the full version of Windows 8. The Surface Pro 2 gives you more productivity in tablet form. With the 4 generation Intel i5 processor, the Surface Pro 2 is super fast. The 8GB of RAM helps with the ultimate multi-tasking.Microsoft even claims that it’s 95% faster than other ultrabooks out there. It can even be used for editing ultra high definition video footage. Microsoft demonstrated by using the rare Red camera. They showed the external display on a Ultra HD 4K TV. It looked beautiful. Storage: 64GB, 128GB, 256GB, or 512GB. Connectivity: (1) USB 3.0 Port, Mini Display Port, and Ethernet. The Surface Pro 2 64GB model with 4GB of RAM costs $899. For the 128GB version it’s $999, and the 256GB model goes for $1,299. For those who need to feel the click of a keyboard, the Surface Type Cover is a great accessory. There is even a version with a battery called the Power Cover to prolong your Surface tablet’s battery life. The Type Cover will be available will be available in Cyan, Magenta, Purple and Black. 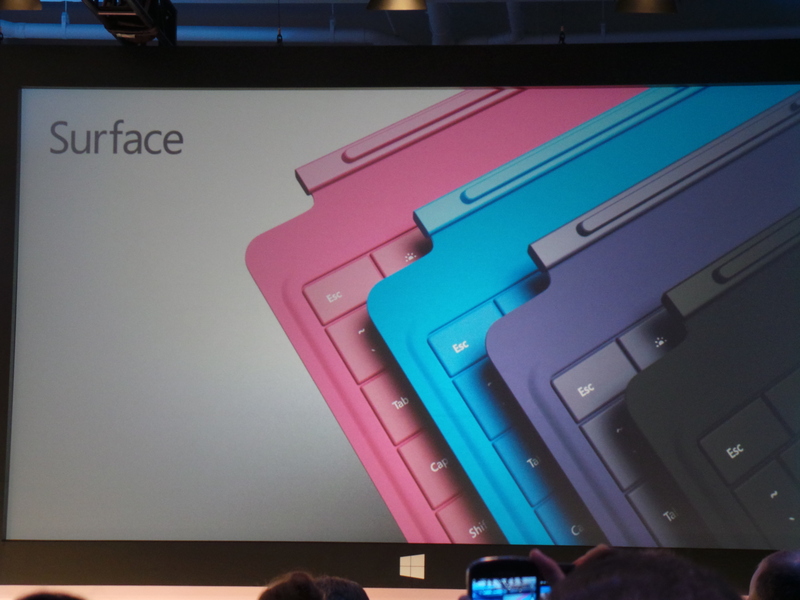 The Type Cover 2 will have an estimated retail price of $129.99. It will be available for pre-order on Sept. 24. The Power Cover will have an estimated retail price of $199.99 and has a projected release date of early 2014.